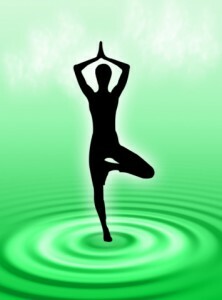 Home/YOGA STYLES: Traditional/Hatha Yoga/What can a Hatha Yoga Teacher Offer a Middle-aged Student for Optimum Physical Health? 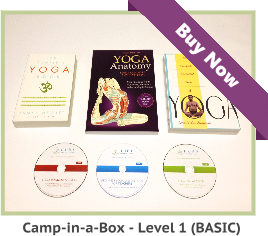 What can a Hatha Yoga teacher offer in the way of a fitness program? Is it too late for bad health habits to be corrected by Yoga? Large numbers of “Baby Boomers,” who were born between 1946 and 1965, are coming to grips with the concept of aging. Regular doctor visits and lab tests reveal more cases of high blood cholesterol, blood pressure, and blood sugar levels in many Baby Boomers. Some Baby Boomers are doing their best to live a more pro-active lifestyle, joining Hatha Yoga classes, Pilates classes, walking, and consuming a more moderate diet. Yet, being pro-active about health is a rarity in western society. “Big Gun” medicine, in the form of prescriptions, is called upon to correct years of negligent health habits. The problem with western medicine is that the public expects miracles from it and ignores the side effects. 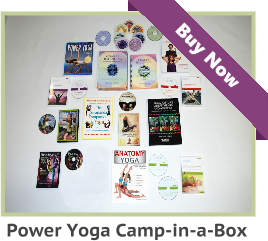 What can a Hatha Yoga teacher offer for those who are interested in improved fitness? Hatha Yoga teachers offer many things including exercise where students learn to bear their weight. This Yogic weight bearing exercise is good for middle-aged Yoga students, right now, and when they become seniors, as this will help increase bone density. Hatha Yoga is also excellent for flexibility, but the “flip side” of flexibility is strength. Holding a Yoga posture (asana), longer than 20 seconds, will help you develop strength, without gaining size. How else can you explain an average sized woman, over 60 years of age, who can balance on her hands? Some Hatha Yoga instructors also teach Sun Salutations and Vinyasa Yoga. These flowing movements are good for cardiovascular heath, even when done slowly, or with a chair as a prop. Just holding some Yoga postures (asanas) will raise the heart rate. For those students who have had a heart attack, or who are at risk of having one, the heart could easily be monitored during practice. Heart rate monitors are the size of a wrist watch, and look like one. The cost of a heart rate monitor is affordable from $30 to $153 US dollars. Therefore, Hatha Yoga teachers can offer improved strength, flexibility, and cardiovascular health. When we think of these physical health benefits, it is hard to remember that Hatha Yoga teaches us so much more. Hatha Yoga also teaches us moderate dieting habits. I was interviewed by a local paper reporter, who did not care to hear about the three Gunas. 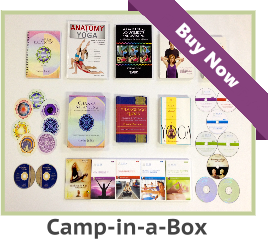 Yoga teachers know that dieting is one of the most important components of good health. If you go to any health club, the staff will tell you that your diet is very important for optimum physical health. Pranayama (proper breathing) techniques are the most important part of physical health. Pranayama helps you every day and in times of extreme stress. Many Yoga students are only aware of how their muscles feel, when considering the physical aspects of Yoga postures (asanas) during practice. A competent Yoga teacher will remind you to open your awareness about your vital organs, which are being massaged, and your body is feeling benefits at the skeletal level during asana practice. It is never too late to correct bad habits and Hatha Yoga offers help for most of the ailments, which trouble mankind.